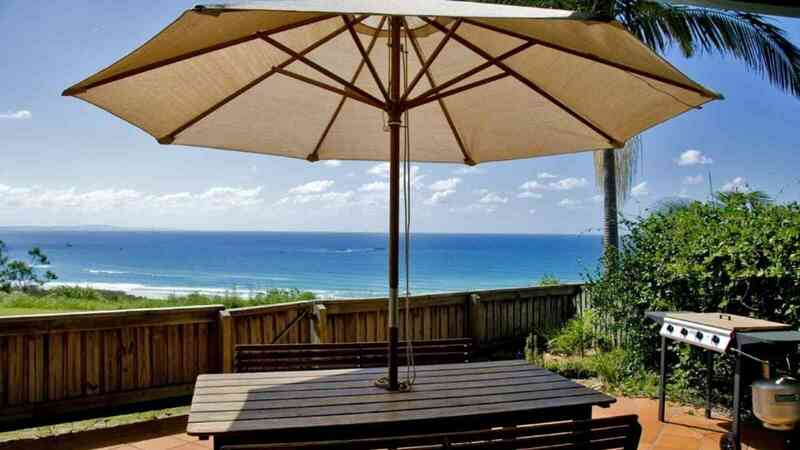 Situated in the hillside at Point Lookout, Pandanus Palms Resort offers quality two and three bedroom fully self-contained villas, most featuring spectacular views across to Moreton Island and the Pacific Ocean. 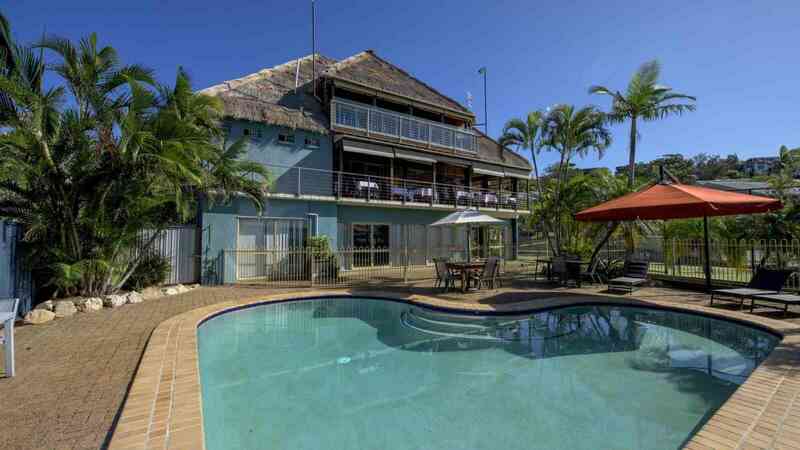 This private hillside resort features a full size tennis court, swimming pool and undercover carpark, whilst beaches and shops are only a short drive away. 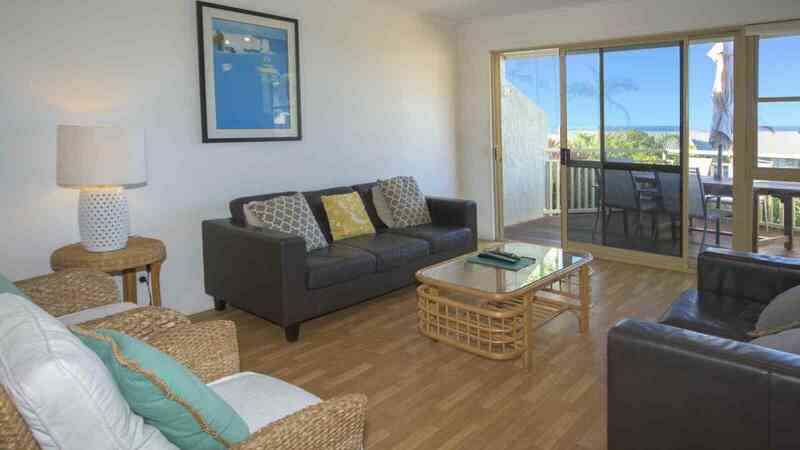 Ocean view villa – These villas are located in the middle and back row of the resort complex. 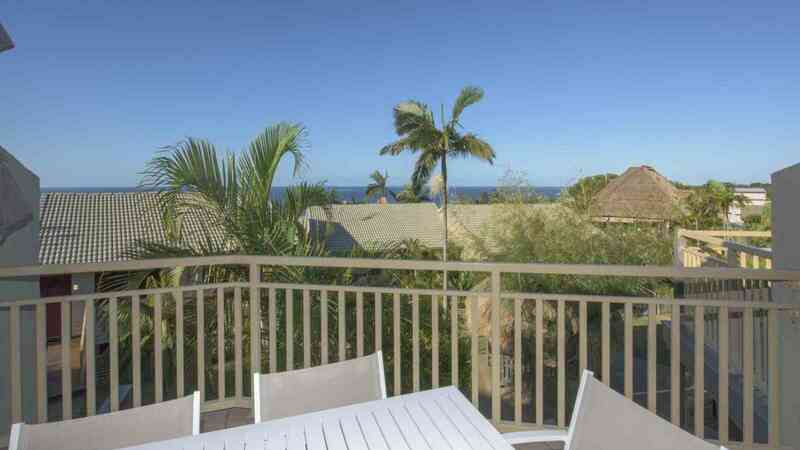 Ocean views are only visible from the upstairs balcony areas. 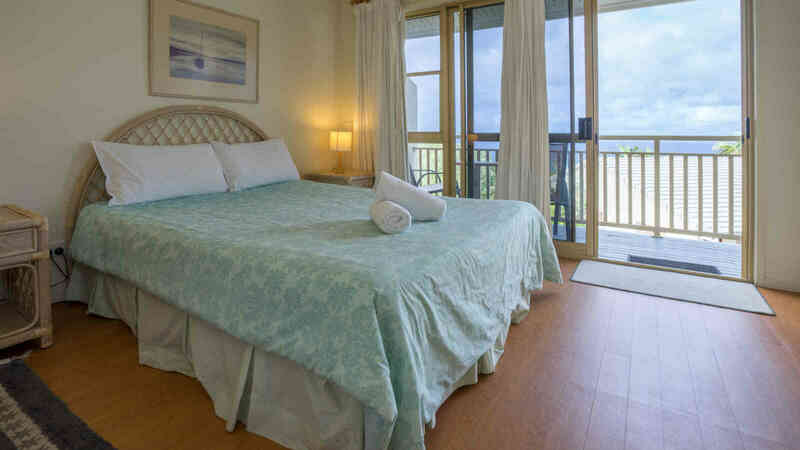 Beach and ocean view villa – Located along the front row of the resort complex. 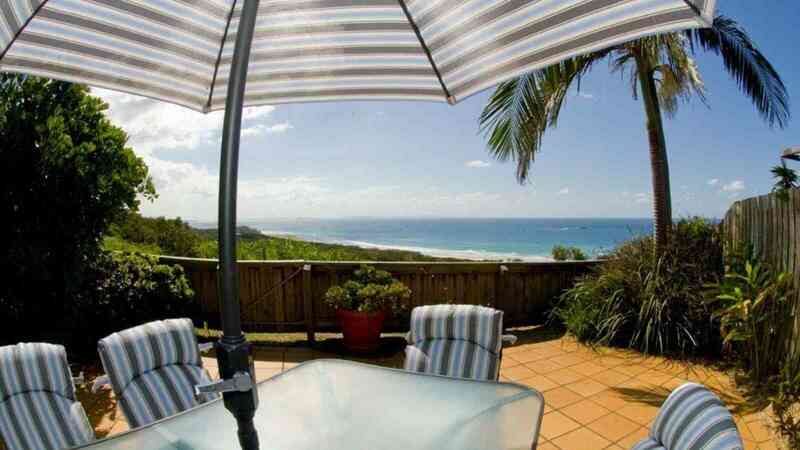 These villas offer spectacular 180 degree views out towards Home & Cylinder Beaches. 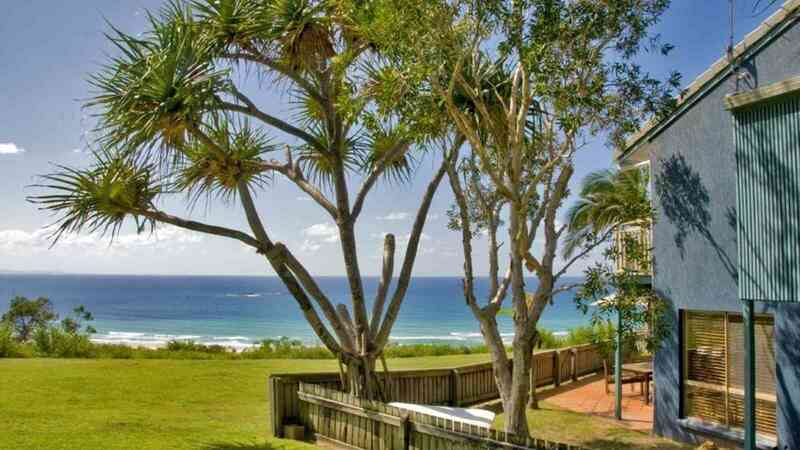 From $572 for 4 people for Ocean view! Stay an extra night for only $60! Book 2 or more nights, from $572 for four people and get the third night for just $60 more! 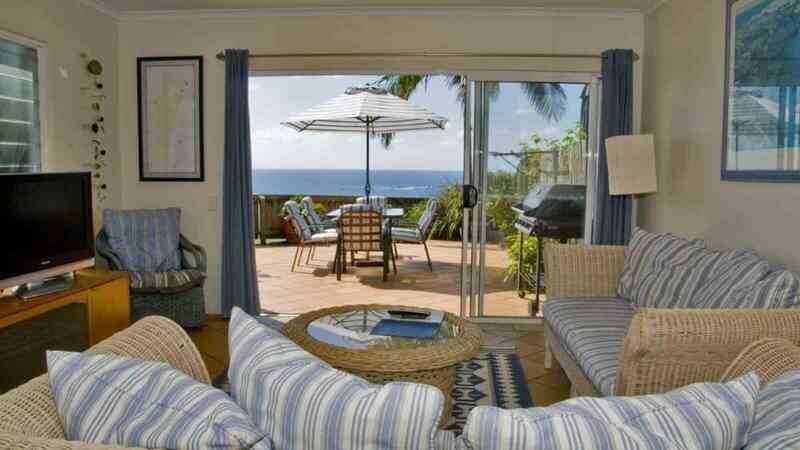 From $1,088 for 4 people in an Ocean view villa!